in detail the effects of leaving the jurisdiction of the European Court, the avowed government policy. One of the important effects is that the ability of judges to disallow legislation which conflicts with the EU Charter of Fundamental Rights will no longer be possible. Bogdanor makes the point that we shall be moving away from a codified and protected system to an unprotected one. This is probably the first time this has happened. For people keen on the sovereignty issue and see all things European to be harmful, then this is what they seek. For them the supremacy of parliament is a key principle. But what has been happening over many decades – and preceding our entry into what was then called the Common Market – was that judges were becoming more willing to interfere in some aspects of legislation. Because we have signed up to the European Charter, where our legislation conflicts with that, then judges are willing to rule against it. The fundamental problem the UK has is a lack of a constitution. The charter was a kind of stand-in constitution against which the legislative process could be tested. For critics of the involvement of the European Court, there is a kind of misty eyed reverence to the British system which does of course have many strengths and has evolved over many centuries. This was particularly noticeable during the Magna Carta celebrations two years ago. But historians will know that it has been a struggle for some simple rights and laws of benefit to ordinary people, to be enacted. Legislation such as the factory acts and public health for example, took decades to enact against fierce resistance by vested interests in parliament. Full enfranchisement itself did not happen until 90 years ago in 1928. Recent events surrounding the Windrush scandal have shown a legislature and an executive all too willing to inflict misery on thousands of people. The idea that parliament is there to protect the welfare of ordinary people such as those who came here in the ’50s, does not stand up to examination. There is thus a real concern that once we exit the ECJ and the Withdrawal Bill becomes law then some of our rights will be taken away. This will not happen straight off but over time using the infamous Henry VIII powers. The role of the courts will be weakened. The Charter of Fundamental Rights will no longer apply and we will be at the whim of parliament. The key issue behind the scandalous treatment of the Windrush generation was that although there were two immigration acts, a lot of the day to day nastiness was done administravely. So the idea that parliament is sovereign is flawed. One of the curious anomalies of our political discourse is that people do not usually trust politicians. If someone at a public meeting said ‘I think we should trust politicians’ it would likely engender laughter and ridicule. But by removing our country from the aegis of the charter we will be giving power to politicians and the executive which amounts to trusting them with our rights. Since parliament is rife with self-interest, secretive lobbying by special interest groups, the revolving door enabling ministers and others to take up lucrative positions with organisations which they were supposedly in control of, and behind closed door influence from powerful media barons: to expect it to take interest in the rights of ordinary individuals is a big ask. There are honest politicians and many with consciences but they are few against the party machines. The arguments over the role of European law and the remit of the ECJ might seem esoteric, the sort of thing lawyers get enthused about and no one else is the least bit interested in. But the effects of a loss of control over the executive and a dysfunctional parliament will eventually be experienced by all and there won’t be anyone to protect us. Update: See the Amnesty blog post on the reaction of young people to the threat to human rights post Brexit. Minutes of our July meeting are available thanks to group member Lesley for compiling them. We discussed the death penalty report (see the full version here); North Korea; the forthcoming film evening; the summer BBQ and plans for a Celebration of Human Rights event in 2018 in partnership with the Cathedral. This has come about because of the governments desire to take us out of the European Court of Justice and abolish the Human Rights Act. Although it is doubtful if either will actually come about, it does reveal a mindset in the government which is very worrying for the future of human rights in the UK. It also goes hand in hand with our increasing deals with dubious regimes abroad who are serial human rights offenders such as Saudi Arabia. If you live in the Salisbury area and would like to join us, then the best thing is to come to one of our events and make yourself known. At the end of the minutes you will see a list of planned events or you can keep an eye on Twitter and Facebook. Posted: April 7, 2017 in "Human rights"
The news yesterday that the Metropolitan Police are looking into evidence of war crimes by the Saudis in the Yemen is encouraging. It comes at a time when the prime minister, Theresa May is touring the middle East, including Saudi Arabia, in an effort to promote trade. She is not alone as Liam Fox is in the Philippines with president Duterte and Mr Hammond is in India. Mr Fox has received widespread condemnation having spoken of this country’s ‘shared values’ with a regime which has extra-judicially killed around 7,000 of its citizens as part of a war on drugs. There has been a lot happening this week with the awful news of possible use of Sarin nerve agent in Syria allegedly by the Syrian government. Starting with Yemen: the British government has authorised £3.2bn or arms sales to the Saudis a fair proportion of which have been used to bomb schools, hospitals and wedding ceremonies in Yemen. The result has been a humanitarian disaster with nearly 10,000 killed and a million displaced. RAF personnel are involved in the control room of the coalition although their direct involvement in the bombing is denied. The Campaign Against the Arms Trade is currently pursuing a case against the government. One would think that as we are selling arms to the Saudis to enable to continue the carnage in Yemen, that our politicians would be a circumspect in criticising others. Yet both the Foreign Secretary Boris Johnson and Theresa May were voluble in criticising Bashar Al-Assad for the terrible events in Syria seemingly oblivious to our own activities in Yemen. The activities of the prime minister, the foreign secretary and the secretary for international trade have all been widely criticised by a wide range of commentators and organisations. It is becoming increasingly clear that to promote the idea of a ‘Global Britain’ we are going to have to deal with a wide range of unsavoury regimes. This means that any vestige of an ‘ethical foreign policy’ is long dead. The emphasis is now on business with any country and few questions are asked about their human rights. To take Saudi as an example. In addition to its activities in Yemen, it is an autocratic regime, torture is routine, its treatment of minorities and women is deplorable and it executes people in public after highly dubious trials. But to our government none of this matters and getting them to buy more arms and list their oil company, Aramco, on the London Stock Exchange are the real prizes. These activities go to the heart of what we are as a nation. The European Union, for all its faults and shortcomings, is a union of countries which believe in the rule of law, democracy and liberal values. We want to leave this union and no sooner have we sent in the letter triggering our departure, than four of our senior politicians dash off to dubious regimes grubbing around for any deal they can get. It is deeply shaming and added to which, they want to come out of the European Convention of Human Rights, the convention we were so instrumental in setting up. It has quickly become clear that securing trade deals is now paramount, with no questions asked. In defence of our turning a blind eye to the Saudi regime’s lack of human rights, the prime minister says the state is crucial in saving British lives by providing valuable intelligence information, an assertion impossible to prove and extremely convenient. The abandonment of our British values is much lamented. Paradoxically, one of the driving forces for leaving the EU was the desire to reassert British values. The decision to leave seems to mean that we shall have to dump them quickly to enable us to trade with a range of disreputable regimes. Economically it makes little sense as the amount of trade with these regimes is tiny in comparison to the EU. From the moral point of view, it lowers our standing in the world and reduces our influence. It sets a poor example to other countries wishing to promote their arms sales. We would welcome anyone in the Salisbury area wishing to join us in our campaigns for better human rights. The best thing is to come to one of our events and make yourself known. Look on this site, on Twitter or Facebook for details of events. We look forward to meeting you. 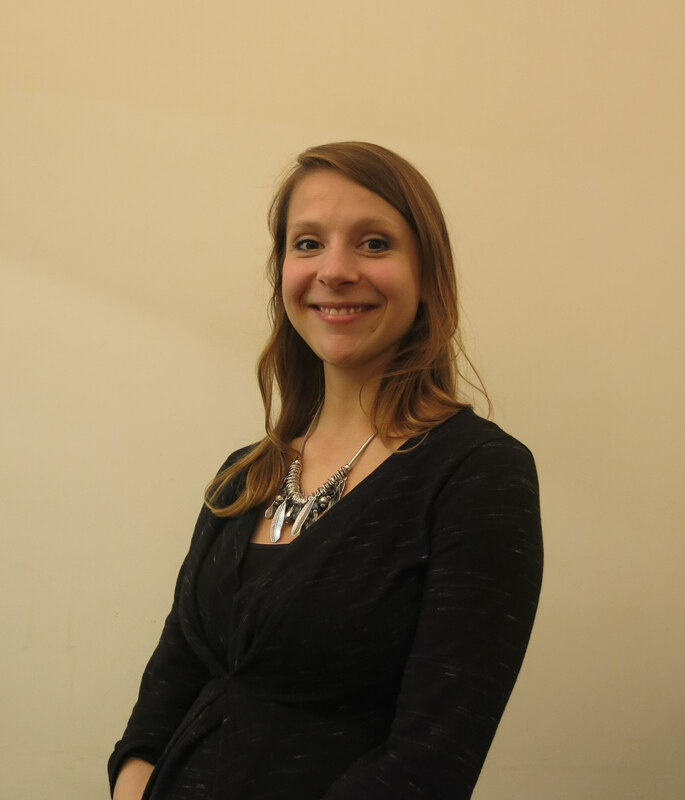 On Monday March 19 the Romsey group of Amnesty hosted a most interesting talk by Dr Claire Lugarre who is a lecturer in Human Rights Law at the Southampton Law School, part of Southampton University. An element of the desire of those who wish for the UK to come out of Europe is a wish to regain our (i.e. the UK’s) sovereignty. There is also a desire, expressed most strongly by some members of the Conservative Party, to abolish the Human Rights Act and replace it with a British Bill of Rights. This has been promised in the party’s manifestos and has been talked about for about a decade but details of what the BBoR will look like and how it will differ from the existing HRA is still largely opaque. It seems to be a solution in search of a problem. The Conservatives are not alone in wanting us to come out of the European Convention along with Brexit: most of the media have kept up a barrage of criticism and denigration of the Court and all its doings. 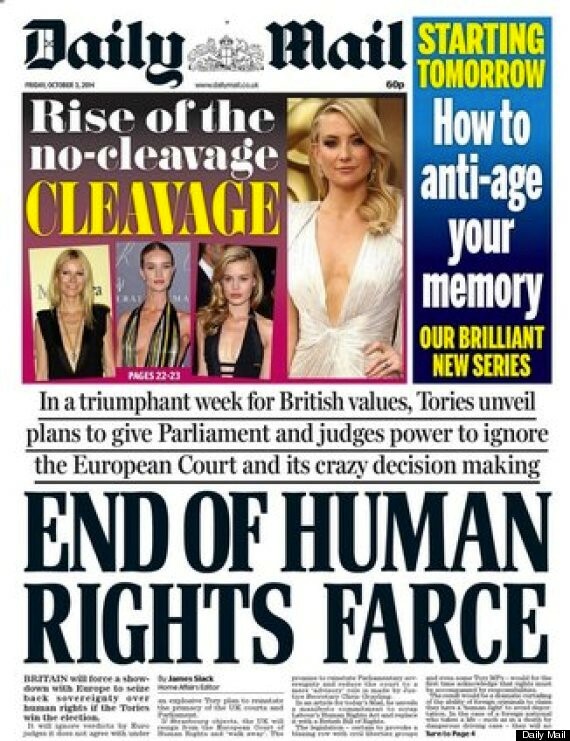 As the example on the right of the Daily Mail shows, there is talk of a ‘triumphant week for British values,’ the ‘crazy decision’ making by European Court judges – usually referred as ‘unelected’ judges and the ‘human rights farce’. Claire Lugarre explained some of the background issues surrounding the issue of the European Court and what it might mean for the country if we left. Her first point is that the notion of human rights is not just a western construct and similar ideas are seen throughout history even if they were actually called that at the time. She also emphasised that the European Convention on Human Rights (ECHR) had a utilitarian purpose not just a moral one. There was an urgent desire after the carnage of WWII to construct a legal basis of good behaviour between states. States have to comply with European Court judgements. The Human Rights Act – often referred to by critics as ‘Labour’s’ Human Rights Act which it isn’t as it received all party support – incorporates the ECHR into British law thus removing the need for litigants to go to Strasbourg to get justice. One matter is the vexed question of prisoner voting she said. The European Court rejected the Government’s case which banned all prisoner voting and said that to ‘prescribe general, indefinite and automatic deprivation of a right to vote’ infringed a prisoner’s article 3 rights. Thus far the government has ignored the ruling. The issue was one of proportionality. She spent some time on the often confusing difference between the Council of Europe and the European Union the latter being what we wish to leave (it was announced yesterday that the Article 50 notice to depart will be served on 29th of this month). The Council of Europe consists of 47 states and within which the European Court sits. This deals with human rights issues. The European Union consists – at present – of 28 states and is a political and economic union. There seem to be many who think that Article 50 means we will no longer be subject to ‘crazy decisions’ of the European Court. To do that we have to leave the European Convention. There have been reports that the prime minister Theresa May wishes to do that as well. All legislation and legal judgements have to be in accordance with the HRA she said. Indeed, the number of judgements already made by the courts represent a considerable body of precedent based on the HRA and the European Court. Even if we come out of the European Convention the effects will be present for a considerable period. It is also forgotten that the European Court is not the only thing which binds us, we are also signatories to a host of other treaties which will still be in existence. One of the arguments frequently heard is that it is not just about rights but also about responsibilities. It was this principle which led to the desire to have a British Bill of Rights and Responsibilities. This is a difficult argument to fathom. Sometimes, people talk about responsibilities in terms of the government’s responsibilities to its citizens to uphold the Act. Others argue that the citizen has responsibilities not just rights. There are other arguments about the need to fight terrorism because the act has undermined this ability, it is claimed, and this requires responsibilities in some ill-defined way. Claire was unclear what the BBoR would contain. The relationship between rights and responsibilities needs to be understood. Most rights are qualified in any event and, in practical terms, depend on the responsibility of everyone in society to respect one another’s freedoms (so that one party’s right to free expression, for example, does not impinge too far on another’s right to a private and family life). These rights cannot be subjected to any all-encompassing limitation, such as that they are legally contingent on performance of set of duties and responsibilities. Their application regardless of such considerations is precisely the point of their existence. It is often claimed by critics that the European Court was ‘imposed’ on the UK. It wasn’t and the UK was a key participant in its formation after the war with many British lawyers involved. It is also argued that the HRA should only be used for the most serious of cases but what this would mean in practice is not clear. Who would decide on seriousness? If, as is threatened, we do come out of the European Convention the effects could be traumatic. At present countries like Russia and Turkey are part of it. Russia’s human rights record is already poor and Turkey has arrested tens of thousands of judges, lawyers, academics and police. If the UK pulls out of the Convention, of which it was a founder member, the effects could be even more serious in those countries. The HRA has had a steady and beneficial effect on many people’s lives in this country. In countless day to day decisions by authorities of various kinds, its provisions have to be adhered to and lawyers regularly use it to defend their client’s interests. Perhaps its chief problem is that it shifts some power down to the individual, a fact which those who were in control find uncomfortable. This was a most interesting evening about a subject which is bound to be in the news for some time to come. If you would like to join the Salisbury group you would be very welcome. We meet once a month for a planning meeting and perhaps the best thing is to come along to an event and make yourself known. Theresa May has repeatedly stated her feelings that Britain would be better served by leaving the European convention on human rights than it would leaving the European Union. As we enter Brexit negotiations, there is now every possibility that both these scenarios could easily come to pass. The ECHR has been the bedrock of peace in Europe since the Second World War and was instrumental in the remarkable growth of democracy in Eastern Europe after the fall of the Berlin Wall. It is no coincidence that the one state that is not part of the convention, Belarus, is known as “Europe’s last dictatorship”. The withdrawal of Britain from the EU and the ECHR in succession could embolden populist leaders in countries such as Hungary and Poland to abandon domestic and international commitments to human rights. We face the threat of a human rights crisis with the UK trading away protections against torture for grubby trade deals with foreign tyrants. We are calling for the EU to make Britain’s membership of the ECHR a legally binding requirement for any future free trade deal with the UK. The rule of law and human rights are non-negotiable when new countries join the EU; they should be non-negotiable when countries leave and desire a free trade deal. As parliament scrutinises the bill on withdrawing from the EU and further legislation on Brexit, MPs, peers and the EU itself must make sure that Britain’s membership of the ECHR is a requirement of any future trade deal with the EU. We should add that our MP Mr John Glen, is in favour of this policy. Their are many reasons to be pessimistic about human rights in the year ahead. The election of Theresa May and Donald Trump are both bad omens and the rise in importance of China and Russia is also a bad sign. On almost every front, the post-war ideal of steady improvement in both democracy and human rights around the world now seems under assault. In the UK, the majority of the media keep up a relentless attack on human rights painting them as a threat to justice and social order. It is hard to believe that we are now debating the merits or otherwise of torture following President Trump’s remarks this week. How have we come to this? Perhaps the most important factor, and one difficult to discern, is the recent decline in optimism which was visible following WWII. That war and the terrible events which took place with the murder of Jews, Gypsies and homosexuals, led the world to say ‘never again’ and led to the Universal Convention on Human Rights. This led in time to the European Convention on Human Rights a convention strongly driven by Winston Churchill. There was a feeling in the years that followed, with such conventions and other subsequent treaties, that the world was on an improving path and the horrors of the Second World War would not be repeated. Improvements included a steady reduction in the number of countries using the death penalty. The cold war eventually came to an end. On the other hand, the use of torture around the world is still widespread with 141 countries still practising it according to Amnesty and this is specifically banned by the Universal Convention. It was not of course plain sailing and we now realise that Chairman Mao murdered many millions of Chinese and there have been other monsters such a Pol Pot. Nevertheless, there was this feeling that things were steadily improving and the UN provided a forum for nations to settle disputes short of going to war. There was an assumption of western values of fairness, justice, free speech and the rule of law were becoming the norm. Following Syria it is clear that this is no longer the case. Human rights in China are poor in the extreme. Thousands are executed and torture is routine. There is no free press and it is a one party state. Things are also deteriorating in Russia under President Putin. Russia’s ‘victory’ in Syria has changed the dynamic. Last year, we celebrated the 800 years since the signing* of Magna Carta. This was an attempt by the barons of the day to wrest some powers from the king. It would be unwise to summarise British history in a paragraph, but an element of our history has been a steady attempt – sometimes peaceful, sometimes not – to secure rights for ordinary people against whoever was the elite or in power at the time. It might be landowners or it might be factory owners for example. They had the wealth and the power and were extremely reluctant to release any of it to the benefit of those at the bottom of the social order. The lives of farm workers and those in factories was grim indeed and attempts to form unions was fiercely resisted. The legal system did little to ameliorate the plight of the powerless in society. The modern day Human Rights Act incorporated the ECHR into British law and meant that every citizen could defend his or her rights in the courts and that public organisations had to treat everyone with fairness, dignity and respect. It is this shift of power that is so deeply resented and ‘some people,’ which includes some politicians, have grown to dislike the loss of power and assumed patronage that they had become used to. The virtual ending of legal aid in the UK was a symptom of this desire to remove the ability of ordinary people to achieve redress or argue for their rights. Others of the ‘some people’ include chunks of the media. The HRA created a right of privacy and this represented a huge problem for the ‘kiss and tell’ end of the media world. These stories depended on substantial infringements of privacy, by phone hacking, not to expose corruption, but to find intimate details of politicians, celebrities and people in the public eye. Owners of newspapers – all of whom live overseas – were exempt from this scrutiny and intrusion of course. I [Stephen Hilton] once asked Rupert Murdoch why he was so opposed to the European Union. ‘That’s easy,’ he replied. ‘When I go into Downing Street they do what I say; when I go to Brussels they take no notice. It must also be why there are few political champions for the Act or the ECHR. Any politician speaking up for it risks at best being ignored or at worst, having his or her private life raked over for something with which to denigrate them. There is instead an almost unseemly rush to join in the claims to ‘bring sovereignty back’ or to take control of our laws. A real worry has to be Brexit. The plan is to seek trade deals around the world sufficient to counter the effects of losing our access to the European market. This is likely to be tough as we will no doubt soon learn from the USA. To achieve these trade deals it is likely that our insistence on human rights will be weakened or even jettisoned altogether. As we have noted in many previous blogs concerning Saudi and Yemen, our principal interest there has been in selling them weapons. Despite considerable and irrefutable evidence of infringements of international humanitarian treaties, selling weapons is the primary aim of policy. Until very recently, ministers have not needed to worry too much about the atrocities in Yemen. Most attention was on Syria. We did not even know British personnel were involved until it was blurted out by a Saudi prince. In the last few months however, there have been two debates in the Commons and press interest is now at a slightly higher level. The two debates revealed ministers more interested in promoting arms sales because of the economy and the jobs created, rather than in promoting human rights. It is hardly surprising when the major part of our media has carried out a sustained campaign against all things European leading, some might argue, to the decision to leave it. It is truly ironic that for many years the Daily Mail has carried out a campaign against what it calls ‘Frankenstein Foods’. The introduction of genetically modified foods has been seriously restricted by the European Union. The trade deal with USA is likely to involve the import of GM foods of varying kinds as ministers will be unwilling or unable to resist the pressure if we want to continue to export to them. The general tone of press coverage has been that we do not need the act. It’s only of benefit to terrorists and assorted criminals who escape justice because of it (they argue). The benefits of the act to ordinary people are rarely mentioned and often one can scour a story for any mention it where it was used. Putting all these elements together, the sense that the steady progress of western values has come to an end, a hostile media keen to bad mouth human rights and to denigrate the Human Rights Act, the Conservative government’s prolonged threat to abolish it, the decision to leave the EU needing a concerted effort to secure trade deals at any cost, and many of the public who are not concerned about such matters, means that the prospect for human rights does not look promising. The Conservative government has long disliked the European Convention and is now proposing to put withdrawal in the next manifesto. This will be a serious mistake and will affect the human rights of many individuals in the UK. It will also send a message to many other countries around the world whose record on human rights leaves a lot to be desired. One of the problems with discussing this issue is that it is clouded by a programme of disinformation by the tabloid press. Being a European creation it is damned by association. It is also, in their eyes, a serious threat because it gives people some rights concerning privacy. Since large parts of the British press are concerned with the private lives of celebrities and profit from such stories (which to be fair have an avid readership), anything which inhibits their ability to publish such material is going to harm profits. There has thus been a continuous series of stories which rubbish the Human Rights Act and the European Convention (ECHR). Small wonder therefore that politicians follow this line and brave it is for those few who stand up for the Act. Theresa May has a particular animus against it and is famous for her fatuous remark about someone not being deported because of a cat. “I’m not making this up” she famously said: only she was. The person involved was a Bolivian who wasn’t an illegal immigrant anyway but was a student who had overstayed his visa. At the tribunal and later at appeal, part of the evidence for his right to stay, was his relationship with a British woman, various other domestic matters, and their ownership of a cat. 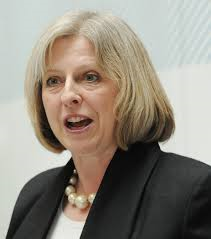 A more serious case which caused Mrs May angst whilst at the Home Office was the case of Abu Qatada. The Home Office spent many years trying to deport him and the HRA was blamed by her and the right wing media for being unable to do so. In simple terms, he could not be deported because either he – or the witnesses against him – would be tortured by the Jordanian authorities. He was eventually deported following diplomatic negotiations which led to Jordan agreeing to renounce torture. It was never really explained during all the months of dispute about the need to deport him, why he was never put on trial here. Almost every part of this paragraph is nonsense but one element is ‘[it] does nothing to change the attitude of governments like Russia’s’. We have just seen the brutal activities of Russian forces in action in Syria and prior to that, in Ukraine and Chechnya. Human rights in Russia are at a low ebb and the murder of opposition leaders and journalists a fairly frequent occurrence. But Russia has been subject to the ECtHR for some years and something like half their judgements are against Russia, Turkey, Romania and Ukraine. It is, in a small way, a civilising influence. It has had an effect on their activities. On the other hand there has been a miniscule number of judgements against the UK – 10 in 2012 for example. Indeed if one looks at the statistics, between 1959 and 2015 there have been 525 judgements concerning the UK of which 305 decided that there was at least one violation. That is 305 over a period of 56 years. From all the sturm and drang in the media you would imagine it was at least ten times greater. At the end of the extract from Theresa May’s speech she goes on to say ‘if we want to reform human rights laws in this country, it isn’t the EU we should leave but the ECHR and the jurisdiction of its court.’ But what laws do we want to reform? We still wait after more than five years for sight of the British Bill of Rights although it is still promised. There are two aspects to the proposed withdrawal: internal and external. Internally, it will reduce the rights of individuals in their claims against the state. People like the Hillsborough survivors would never have succeeded in their quest for justice without article 2. The parents of the Deepcut shooting would never have received justice without the ECHR. On that subject, Theresa May also wants to remove the armed services from the act, a view echoed by the local MP for Devizes. Behind all this anti-ECtHR rhetoric, are the assumptions that all EU rulings are wrong and that we have a superior and infallible legal system. We do indeed enjoy a very good system – witness the low number of rulings against us by the European Court – but it is not perfect and judges have shown themselves to be too keen on supporting the establishment. There is also the issue of sovereignty and a belief that it is only our parliament who should decide our laws. The problem here is the weakness of parliament in challenging the executive. Externally, it will send a harmful message to countries like Russia and Turkey where human rights are fragile. It is astonishing to recall that it was a conservative, Sir Winston Churchill who was instrumental in forming the Convention. Yet now it is the same conservatives who want to abolish it because, now and again, we fall foul of it and have to change our procedures or right a wrong. Coming out of the European Convention would be a serious error and a backward step. Our influence in the world would be diminished. As a result of Brexit, we will be desperate to secure trade deals with whoever we can. Such limited concerns as we do have for human rights will all but disappear in the rush to sign a deal. Witness our activities in the Yemen where we are more concerned with selling £3bn of arms than we are with the results of the bombing. In the UK, the ability of ordinary people to uphold their rights in every day situations will be diminished. The Human Rights Act is under threat by the Conservative government and they want to withdraw from the European Convention which we helped found. It is timely therefore that we celebrate the achievements of the ECHR which receive too little attention by our media and by politicians such as the prime minister and our local MP Mr John Glen. The plan by the government to enable the armed forces to derogate from the Human Rights Act have been greeted with great glee by newspapers like the Mail and the Telegraph. The Conservatives at their annual conference in Birmingham have also been delighted by the announcement by the Defence Minister Michael Fallon. And what we’ve seen is human rights legislation being used to generate all these vexatious claims and troops finding themselves in some difficultly in worrying and concerned about the future as a result of that. So if our soldiers are engaged in torture or abusive actions against prisoners, this is contrary to the reason why they are there in the first place and is also contrary to our values. It is these abusive actions which are the cause of a great deal of the claims made against the MoD. It is also presented in terms of claims against our service people by foreigners. In fact, many of the claims are by service people against the MoD. These claims arise because of poor treatment of soldiers by their commanders on training exercises which can lead to their deaths, for example in the Brecon Beacons. Or they arise because of inadequate equipment which means service people are needlessly at risk and are injured or lose their lives. The ill-equipped land rovers in Afghanistan are an example. These actions are seldom mentioned by the right wing media. There is something depressing in the glee of the conference goers and sections of the media about the decision. There seems not an inkling of pride in the fact that we fought a war to defeat tyranny and that afterwards, we were the key players in setting up the Convention of Human Rights in Europe led by a conservative prime minister. That just seems to have been forgotten. If there were solid reasons for doing so that would be fine. But the arguments are selective and ignore the fact that the MoD has paid out something like £20m in compensation, not because the claims were spurious, but because they were genuine. Will it in fact happen? The court in Strasbourg may well see things differently as Conor Gearty argues in the Guardian and we may not be successful in the derogation as we hope and as has been promised (The Tories are using the army to take a shot at human rights, 5 Oct 2016). Also forgotten is the effect this will have overseas. We are currently watching the horror of Syria with either the Syrians or the Russians deliberately bombing hospitals and civilian targets generally. If one of the leading architects of the European Convention and one of the members of the Security Council, decides to ignore the actions of some of our soldiers with prisoners, what influence do we have left? And not a word about our activities in the Yemen where we are supplying weapons to the Saudis to enable them to carry on a terrible war there. The Convention on Human Rights isn’t just a document whose origins lie in the brutal lessons of 20th century wars. It is directly relevant today. Our Government has a duty not only to implement it during its own military operations, but to uphold its standards as an example to others – both friends and foes. To save the Ministry of Defence from the shame of having to admit that civilians suffered abuse on its watch, ministers are prepared to rob our soldiers of this sensible legal framework that both clarifies their use of force and offers them redress when their own rights are breached. For a supposedly civilised nation, this is a pernicious and retrograde step that will embolden our enemies and alienate our allies.